We are studying a topic called Hot and Cold this term. It is a geography based topic and looks at the locations and culture of hot and cold countries. In science, we are studying how animals have adapted to live in such extreme conditions, including the most adaptable of all species, human beings. 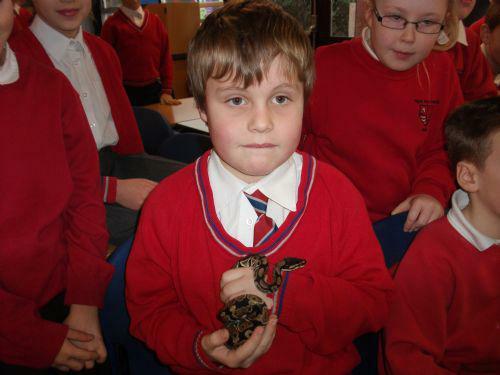 During Core Subject Week in January, we had some very special reptilian visitors. Enjoy looking through the pictures. We hope you're not squeamish about snakes!! !